Learning to read opened up an escape hatch into worlds that lit up my imagination and it was but a short leap into writing. Nothing ever excited me so much as creating a story out of nothing, and that’s still true. I loved writing essays at school and summer holidays were spent either skinning my knees up a tree or tapping away at an ancient black and gold typewriter. I’ve written professionally for magazines since and I have a lot of unfinished manuscripts littering the place! My new book is called Speedwell. It will be the third book in ‘The Katherine Wheel’ series. The first two are Daffodils, set in WW1 and Peace Lily, set in the immediate aftermath of 1919. Speedwell covers the entire decade of the roaring twenties and takes the characters back to America and on to various race tracks, particularly Brooklands in Weybridge, near London. Katy Phipps is running a garage with her husband Jem, trying to raise a family, make innovations on cars and be a race mechanic all at the same time. She is co-driver to Douglas, an American who married her best friend and ex-employer Cassandra Smythe, the heiress of the local estate, Cheadle Manor in rural Wiltshire. Douglas has underwritten the garage and hopes to attract sponsorship and car sales to help support both the garage and his growing family. His father, who lives in Boston, doesn’t approve, and Douglas relies on his rich mother for financial backing. When she dies, everything is put in jeopardy and Douglas risks his life trying to beat all his competitors to secure the future. Katy invents a vital car component to get the edge on their rivals and this has a profound effect on the future of Peacehaven Garage. In order to put the component into production without Douglas’s support, she and Jem have to put themselves deep into debt. Will Douglas secure sponsorship? Will Katy and Jem be able to sell her invention? The suspense as the characters struggle with these pressures builds to an unusual climax and chimes with the innovation and excitement of this post-war decade when the modern age was born. Good question, as it’s often more like exquisite torture! People say anyone can write, and of course that’s true, but I think not everyone feels it’s their vocation. I do. It has been my bliss and passion. If I don’t write, I’m no fun to be around. On the other hand, I can be pretty awful when the writing isn’t going well. I’m also pretty impossible when it is and I’m in what I call a ‘writing vortex’ and can’t stop. So, I’m either antsy because life is getting in the way of the creative process, fed up because it won’t flow, or over-excited and irritable because I can’t stop. I’m heaven to live with. I suppose it could be described as a compulsion. Do you have to plan to write or are you constantly jotting ideas and lines down? Usually the initial idea comes to me in a dream. It’ll be a different sort of dream to the norm; clear and memorable with visual scenes in sharp focus. I scribble it down and, even if I can’t, it tends to stay in my head, refusing to be ignored, remaining crystal clear until I can. Of course it can be years before I settle down to the planning, the outlining, the synopses, the character profile breakdowns and the plot. I have many, many ideas I can’t wait to bring to life. I just don’t have enough hours in the day or energy to concentrate to finish all the projects sitting on the back-burner at the back of my head. Wish I had eyes and a computer memory stick in there! It takes time, perseverance but above all, quality. There’s lots of fiction out there and probably if I wrote erotica or gory thrillers it would be easier but I can’t. So, I can only answer for me, and that means really good research, hopefully good prose, a well crafted sentence (they tend to get re-written many, many times), many drafts, lots and lots of editing. I edit as I go and then re-draft half a dozen times at least. Good formatting helps and great beta-readers – whose opinion you trust and you know will tell you the brutal truth, before letting your vulnerable, naked manuscript out into the real world. To earn my living by creating stories readers can escape into. So far it’s been historical fiction set around the First World War, with Speedwell and a further book planned, Woodbine and Ivy, which takes the characters into the second generation as they face the challenge of WWII. 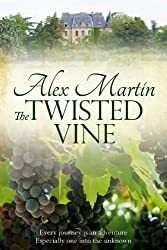 But my first book, The Twisted Vine, was set in France in the 1980’s and is more of a mystery/suspense type of story. I’ve also written quite of lot of poetry, some short stories and I have other projects which include contemporary novels, a ghost story or two and many others. 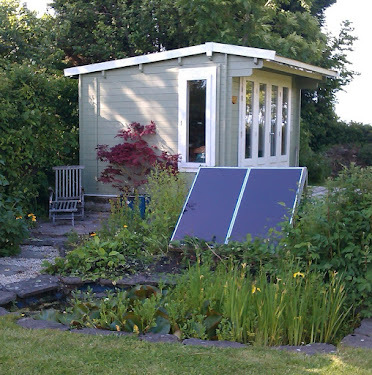 I write in a shed I built (with help from my dear spouse) from a kit. From my writing desk I can see the Brecon Beacons. See www.alexxx8586.blogspot.com where tales from The Plotting Shed can be found about my writing projects. I’m still applying the paint here, if you look closely!